Amboseli National Park, formerly Maasai Amboseli Game Reserve, is in Kajiado District, Rift Valley Province in Kenya. The park is 39,206 hectares (392 km2; 151 sq mi) in size at the core of an 8,000 square kilometres (3,100 sq mi) ecosystem that spreads across the Kenya-Tanzania border. The local people are mainly Maasai, but people from other parts of the country have settled there attracted by the successful tourist-driven economy and intensive agriculture along the system of swamps that makes this low-rainfall area (average 350 mm (14 in)) one of the best wildlife-viewing experiences in the World with 400 species of birds including water birds, pelicans, kingfishers, crakes, hammerkops and 47 types of raptor. The park protects two of the five main swamps, and includes a dried-up Pleistocene lake and semi-arid vegetation. Amboseli National Park is the second most popular national park in Kenya after Maasai Mara National Reserve and the visit can easily be done in a weekend. The park is famous for being the best place in Africa to get close to free-ranging elephants. Other attractions of the park include opportunities to meet Maasai and visit a Maasai village. 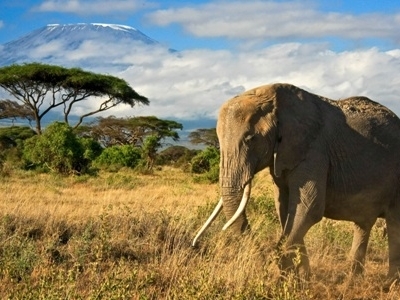 The park also offers spectacular views of Mount Kilimanjaro, the highest free-standing mountain in the world. Amboseli National Park is home to wild animals, which include the African elephant, cape buffalo, impala, lion, cheetah, hyena, giraffe, zebra, and wildebeest among other African animals. There is also a host of Kenyan birds, both large and small, to see if you keep your eyes open and stop at every sighting. 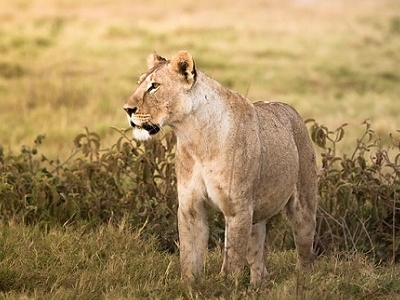 Here's the our members favorite photos of "National Parks in Kenya". 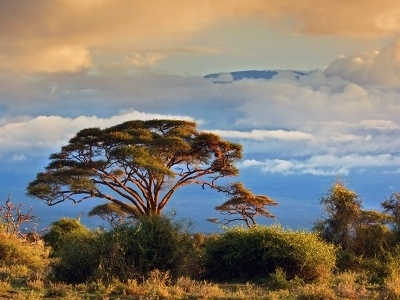 Upload your photo of Amboseli National Park!